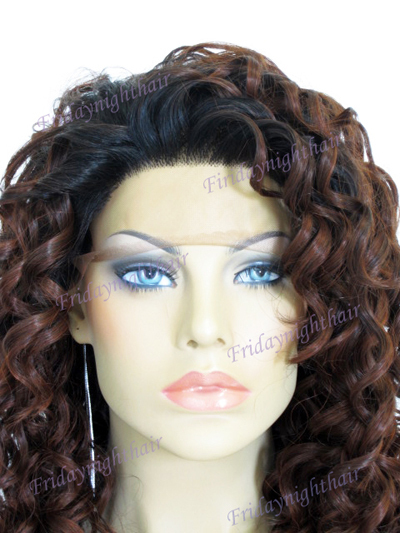 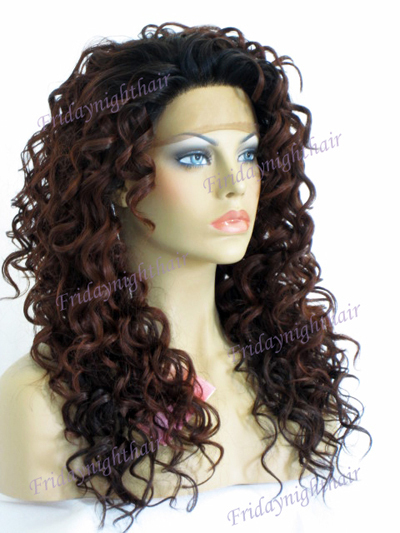 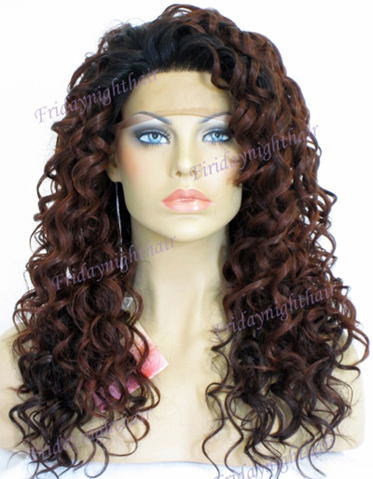 This is a very beautiful heat-resistant synthetic handsewn lace front wig, it has very long 20" curly hair, it shows very amazing looking and has hot fasion OM430 color, the hair can be curled and straighted up to temps of 450 degrees. 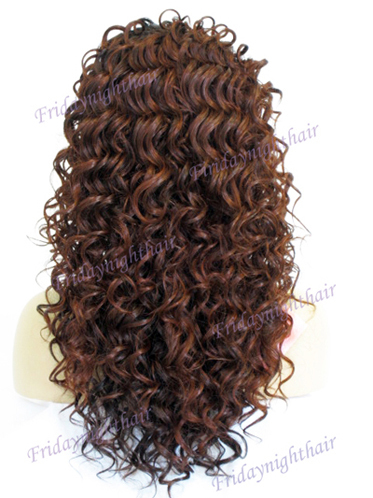 Hair Color: OM430, as shown in the pictures, the color of the hair root is 1B, the color of the remaining part of the hair is shown in the pictures. 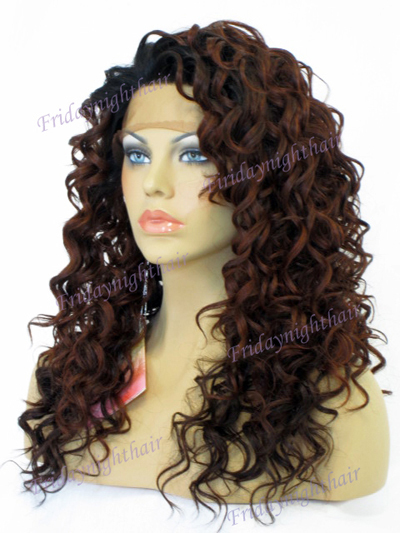 Beside color OM430, we also carry the color 1B.